It should be noted that this is a 4-door sedan. Chevrolet collectors are more likely to get excited over a 2-Door Hardtop Bel Air than a 4-door. But this one is a beauty. Anyway, it sure takes a nice photo. They describe it as being notably straight and very solid, and says it runs and drives like a ’56 should. The car comes from southern California. 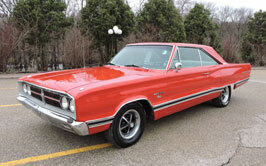 It is equpped with a 283 small block Chevy motor and a 3-speed automatic with factory power steering. Because it is not all original, it is classed as a custom modified classic. It has a 10-bolt rear end, new gas tank, shocks and dual exhaust. At just $10,500, it sure seems like a lotta’ car for the money. The DEAL of the DAY preview is a branded feature of Cars-On-Line.com. It refers to a feature on the front page of the Cars-On-Line.com website called “DEAL of the DAY.” Every day they feature a bargain priced car, often a very desirable car for collectors to buy. Each week in the Cars-On-Line.com newsletter they preview the coming week’s DEALs of the DAY. You’ll always see these special deals in the newsletter first. 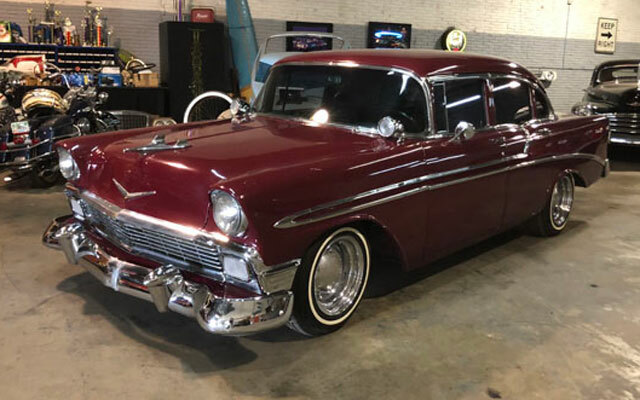 For a preview of all of this week’s DEALs of the DAY follow this link to the freshly published Cars-On-Line.com newsletter.